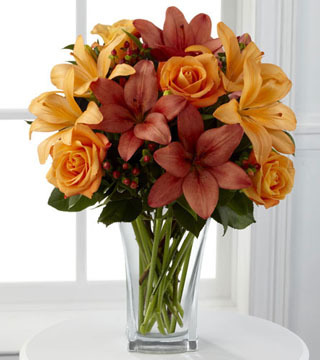 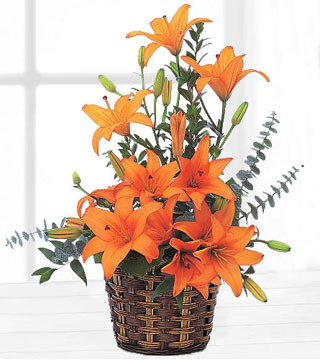 Let this warm hued bouquet send your special message of sympathy. 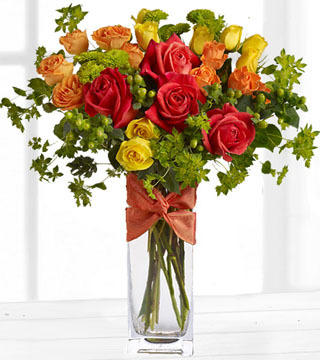 Peach Gerbera daisies, pink spray roses and yellow roses are interspersed with white bouvardia and Queen Anne's lace. 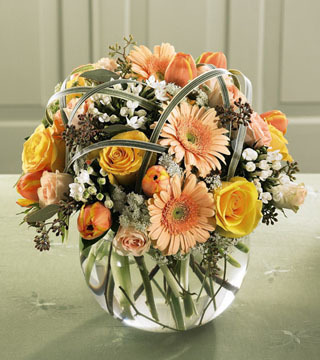 Arranged in an 8" clear glass bowl, it is suitable to send to the home.